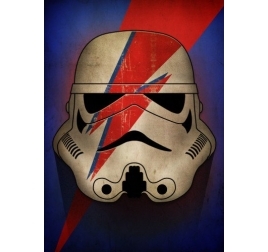 May the force be with you and with those Star Wars posters ! 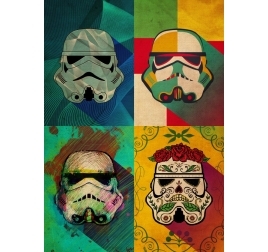 Whether you side for the Empire or the Rebels, those Star Wars wall posters will captivate you with their originality. 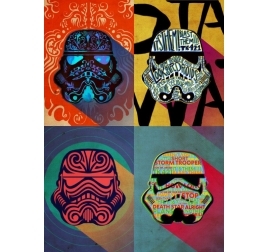 Created by our artists, those Star Wars posters will make you discover the different worlds of this mythical saga with unique and artistic touches. 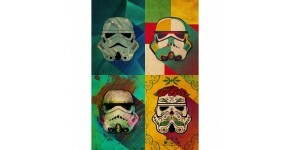 Luke, Darth Vader, Yoda, and many others can be found on very easily hung up metal posters. 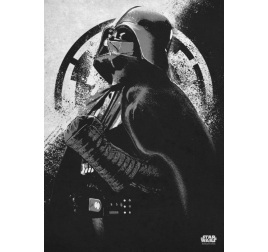 Feel the force of the Jedi with our Star Wars metal posters collection ! 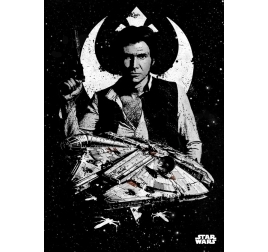 A vintage style for this beautiful metal poster of Han solo. This red and black poster shows the determination of this central character. 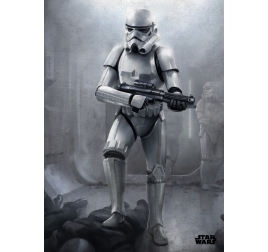 The dimensions of this Star wars metal poster are 48 x 67,5 cm. 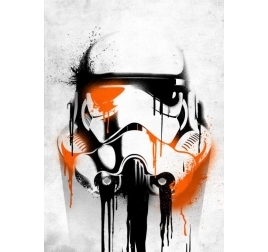 Free delivery in Metropolitan France and Belgium for this wall metal poster of Star Wars. 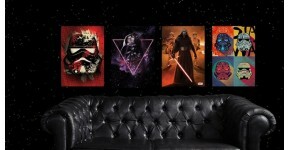 All the power of Darth Vador in wall poster! 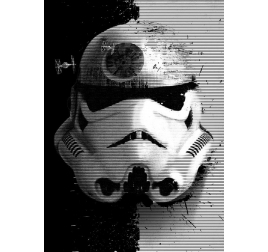 This Star Wars poster was made on metal to have a high quality rendering. The dimensions of this poster are 48 x 67.5 cm. Worldwide shipping for this setting of Darth Vador. The Millennium Falcon on a metal poster ! 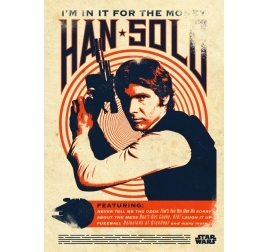 This wall poster of Han solo’s vessel is delivered with its hanging system. The dimensions of this Star Wars poster are 48 x 67,5 cm. Free delivery in metropolitan France and Belgium for this collector poster.